TBS6 Dewback/Sandtrooper Set For $30 On Walmart Online! 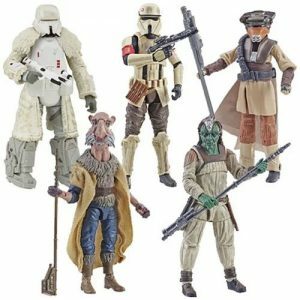 If you still need it, Walmart.com has The Black Series [Phase III] 6″ Dewback/Sandtrooper set for around $30. Special thanks to JTA moderator Sjefke for the alert! 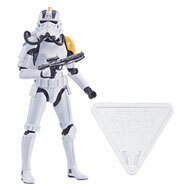 ← Walmart Exclusive TVC Mimban Stormtrooper IN And OUT Of STOCK! In case you’re not aware of what makes up The Vintage Collection wave 21, Star Action Toys are taking pre-orders for it. Check it out! This is the wave with the long-awaited Stormtrooper all-new figure! Special thanks to JTA reader Ruari W. for the alert! 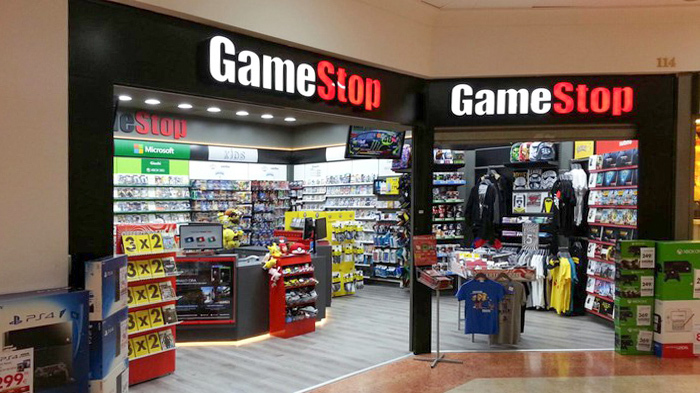 ← US Toy Market Shrinks 2% In 2018, Action Figure Sales Increase By 10%! Good news everyone! Despite the absence of Toys R Us and what some analysts feared would lead to a double digit decline in toy sales in the USA, the toy market in the USA merely saw a decline of 2% in 2018. 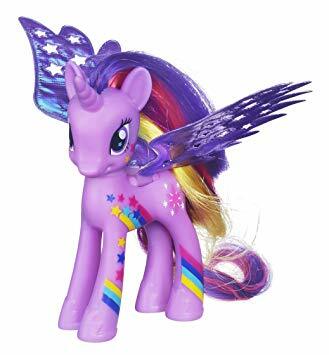 According to the NPD Group the toy market in the USA was 21.6 billion USD in 2018, in 2017 sales were somewhat higher with 22 billion USD. But it’s getting even better! Action figure sales were up 10% in 2018! What, you have a frowny face? Why is that? You want to know about Star Wars? Well, click through to learn some more! Hasbro re-released The Force Awakens R2-D2, relabeled it with a TLJ-specific bio and resold it to Walmart. Yeah, you don’t need it either. Learn more in our Research Droids Reviews today! Be sure to leave your thoughts in our comments section, vote in the poll or even comment about it on our Facebook page. Click the banner below for the direct link to the review! As always, you can also send your review requests via email if you’d like to see something that we didn’t cover yet. I planned for this moving image, created by JTA reader and friend Alientek, to be the funniest thing I saw today, but fortunately for me, a story relayed by good friend Chris Swanksi at Bantha Skull took the cake. I sadly cannot share his story with you, so please enjoy this image below. I usually don’t post silly things like this on our front page, but I think we all could use a laugh. If you don’t check our RDRs on a daily basis, you miss the creative work that so many of our readers that post stuff like this often. And I am thankful to all that do. 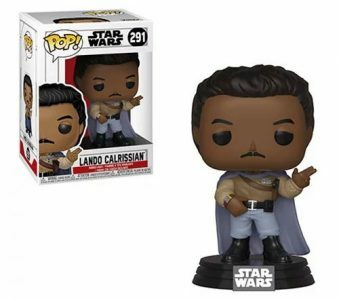 You can check out our RDR on this Lando Calrissian figure HERE. 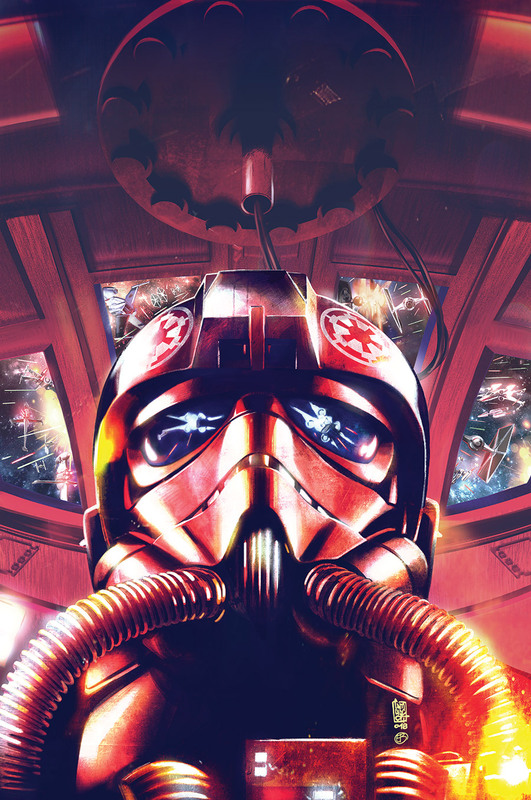 ← Shadows Of The Empire Coming Soon! Tonight’s Visual Guide update features Lando Calrissian, from the Star Wars [Solo] 12-Inch figure line. Click below to check out the full guide page. Make sure to also check out our full review on this figure right here. 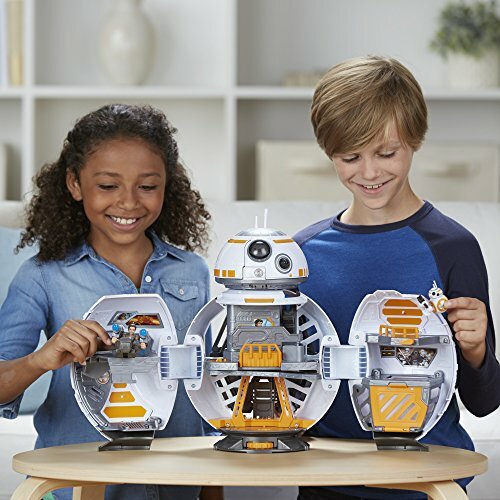 Hasbro re-released The Force Awakens BB-8, relabeled it with a TLJ-specific bio and resold it to Walmart. Yeah, you don’t need it either. Learn more in our Research Droids Reviews today! Be sure to leave your thoughts in our comments section, vote in the poll or even comment about it on our Facebook page. Click the banner below for the direct link to the review! As always, you can also send your review requests via email if you’d like to see something that we didn’t cover yet. In case you haven’t checked out the official Star Wars Instagram page recently, make sure to hop over and check out some beautiful art by Disney Consumer Products artist Eric Tan featuring prints from all 8 saga films. Welcome to another one of our JTA Presents: Evolutions features! Let’s check out how close or far we are from having an ideal Hasbro 3.75″ Shaak Ti action figure. Have we arrived at definitive status yet? Weigh in and let us know what conclusion you’ll come to by clicking through and adding your two cents in the comments! ← Are You Selling Your Yak Face For A Quick $$$ Turnaround? 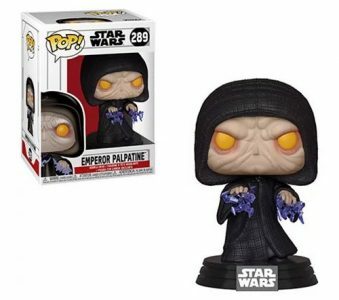 Let’s wrap up the complete run of the POTF2 Electronic Power F/X figure addtions to our Visual Guides with Emperor Palpatine. Click below for a complete look at this figure. Make sure to also check him out in our complete review. Star Wars Authentics has launched a new Gift-With-Purchase Topps Star Wars trading card set featuring Return of the Jedi. 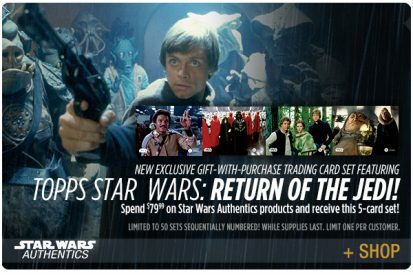 Spend $79.99 or more on any Star Wars Authentics items and received this exclusive Topps Star Wars: Return of the Jedi trading card set. Shop any category – autographs, official photos, or signed Funko Pops. This exclusive sequentially numbered 5-card set is limited to only 50 sets. Click here to visit Star Wars Authentics. We’re finishing up the Electronic Power F/X line! Let’s conclude with Emperor Palpatine, a figure that turned out pretty well, but mostly because of the environmental display stand included with him. Learn more in our Research Droids Reviews today! Be sure to leave your thoughts in our comments section, vote in the poll or even comment about it on our Facebook page. Click the banner below for the direct link to the review! As always, you can also send your review requests via email if you’d like to see something that we didn’t cover yet. ← TARGET Is On To The Trickery! Network Television Premiere Of Rogue One: A Star Wars Story Tonight! The network television premiere of Rogue One: A Star Wars Story happens tonight at 8 PM ET on TNT! Check your local listings for channel lineup. 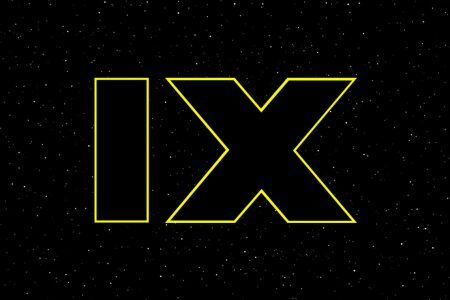 ← Will An Episode IX Teaser Be Shown During Super Bowl? TARGET Is On To The Trickery! 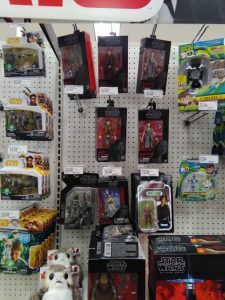 You likely remember when we reported about a plethora of Jyn Erso and Captain Cassian Andor TBS6 figures arriving at TARGET unexpectedly and in vast numbers. 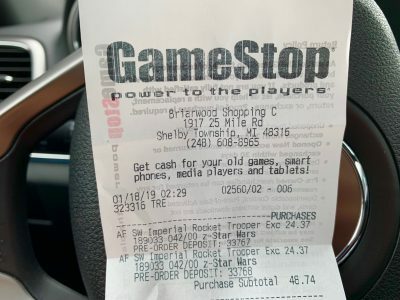 With your help, we figured out that the Five Below stock (both online and in stores) was purchased for $5 each and then people used their TARGET receipts to return the $5 figures with receipts of new figures they paid full price for. Well, it appears TARGET is onto the bait and switch. They’ve covered up the UPCs and created a unique UPC on the clearance sticker to ensure these never get returned to the store again. 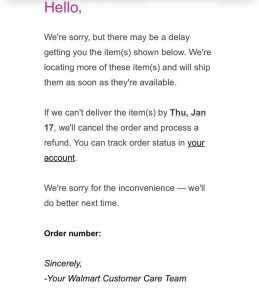 Acts like this will change return policies for the worse and could make some products ineligible for return for all of us. Let’s not make Hasbro’s bad case assortment decisions worse with this type of clearance life cycle that seemingly is without end. 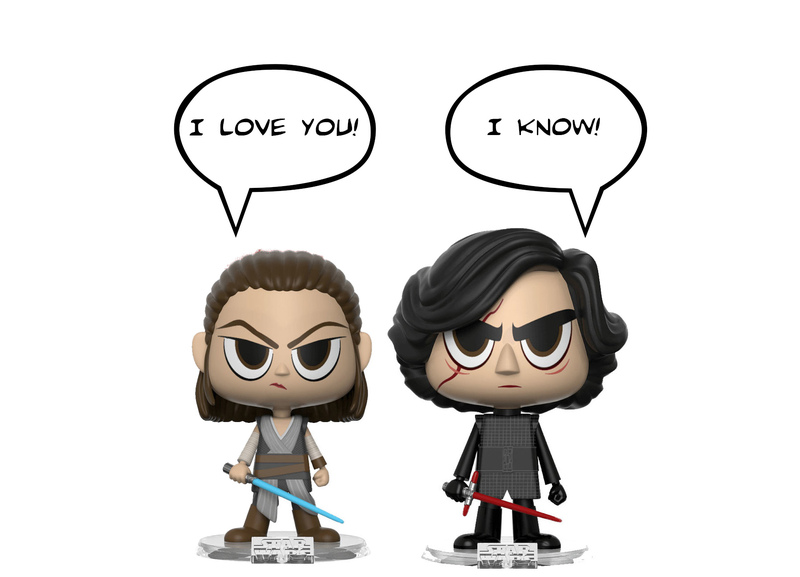 We’ll be seeing Jun and Cassian in stores until who knows when. 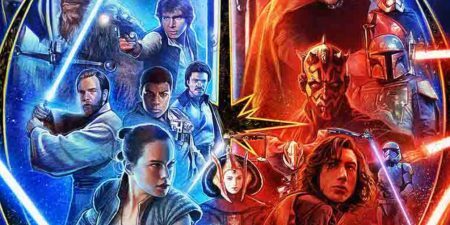 Will An Episode IX Teaser Be Shown During Super Bowl? Website adage.com lists companies that are known to have booked airtime for the upcoming Super Bowl in February. And one entry is quite interesting. Filed unter “entertainment” the website says: “Walt Disney will air an undisclosed number of spots in the game.” With no further details, while all the other entries have detailed info on who made the spot and even some basic details about the spot. What is it that Walt Disney could possibly air? Ok, there are upcoming Marvel movies, but we’ve had trailers for them already. Maybe there will be some last minute marketing for the Captain Marvel movie, which is released in March? But why keep that a secret? Or maybe, just maybe, we will get to see a first teaser for Episode IX, arguably the most important Disney movie in 2019? I believe the Super Bowl would be the perfect time to release the Episode IX teaser. We’ll know very soon! 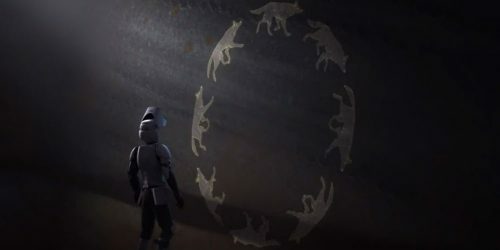 ← How Popular Is Star Wars Among Kids In Europe? Dorkside Toys has the wonderful 4th wave of The Vintage Collection in-stock now, and with free shipping (US residents)! You can purchase them here. How Popular Is Star Wars Among Kids In Europe? The Kids License Monitor is released every three months and gives insight into the popularity of licensed toys among kids in three European core markets: the UK, France and Germany. These three countries are also the core legacy markets for Star Wars in Europe, where Star Wars has always been very popular. JTA had an article about the previous License Monitor. But now the report for the fourth quarter of 2018 has been released. Time to look at how and if things have changed. Where does Star Wars rank among kids aged 4-12 in the UK, France and Germany? Click through for more details! Check out the poster art for the official Star Wars Celebration Chicago poster. You can also read all about the newly announced guest attending over at StarWars.com. It looks like Commander Gree is making a return, folks. The former Toys R Us exclusive is now up for pre-order with an April 2019 delivery at NJ Toys & Collectibles!! 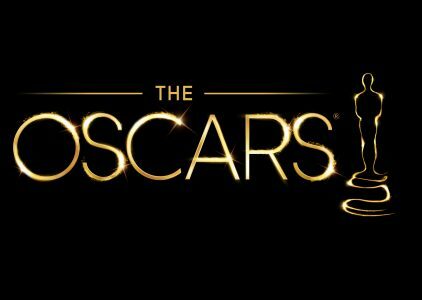 The nominees for the 2019 Academy Awards were announced. And Solo – A Star Wars Story received one nomination for best visual effects. Adam Driver is nominated as supporting actor for his role in BlacKkKlansman, also nominated in this category is Richard E. Grant, who will star alongside Driver in Episode IX. And yet another artist associated with Star Wars received a nomination: Ludwig Goransson is nominated for best score for Black Panther, he is the composer for The Mandalorian. Will you be even watching the Oscars this year? The show seems to be more and more out of touch with time and general audiences. But maybe the Black Panther best picture nomination will attract some more viewers than last year. Edit: The person called Ben Burtt nominated for sound editing for Black Panther is not THE Ben Burtt apparently, but someone who has the exact same name and works at Skywalker Sound. Edit 2: Actually Ben Burtt Jr is the son of Ben Burtt. Who is also a “Jr”, so apparently calling your son “Ben” is a time-honored Burtt family tradition. What a joy family gatherings must be! Welcome to another one of our JTA Presents: Evolutions features! Let’s check out how close or far we are from having an ideal Hasbro 3.75″ AT-AT Driver action figure. Have we arrived at definitive status yet? Weigh in and let us know what conclusion you’ll come to by clicking through and adding your two cents in the comments! ← Bubblegate Again! And With An Impossibly Difficult Figure To Secure! A few hours ago some Episode IX rumors appeared on the Star Wars Leaks subreddit, the most credible source of Star Wars information, only second to Mike Zeroh. However, the rumors might actually have some truth to them as some evidence was apparently provided to a moderator on the Star Wars Leaks subreddit. So I thought, ok, why not look at these rumors and discuss them. You know the drill by now, if you want to know more, click through. If you want to know nothing, well, then do nothing and forever wonder what might be discussed in the article, tossing in your sleep at night. Not an actual spoiler or rumor! Maybe. 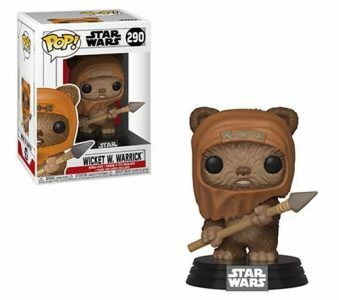 Also, these are actual toys by Funko. ← TVC Saelt-Marae Wave Up On eBay Courtesy Of tunghori! The Vintage Collection Wave 20 Is Arriving To Homes! The reports are pouring in from JTA readers ecstatic that they finally received their Saelt-Marae wave of The Vintage Collection line, and what a FANTASTIC wave it is! Special thanks to JTA reader Justin for sharing his joy with us! Pop! fans make sure to check out the latest pre-orders over at Entertainment Earth. 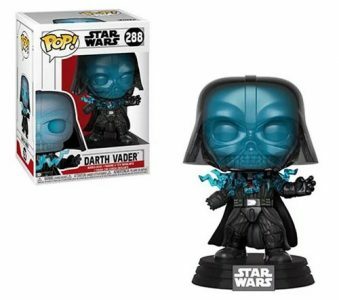 They’ve listed 6 new Pops! Click the links below for each product page. Tags: Affiliate Advertising, Entertainment Earth, Funko Pop! ← Riddle Of The Day! On November 30th 2018 Lucasfilm launched their brand new Star Wars Kids YouTube show Galaxy of Adventures, which animates short scenes from the original trilogy movies, using the original dialogue and sound effects. Hasbro also launched a Galaxy of Adventures toyline to coincide with the new animated show. Now, after about six weeks, I think it’s time to take a closer look at how Galaxy of Adventures performs on YouTube. So click through for an analysis! Ok, so here’s a riddle! 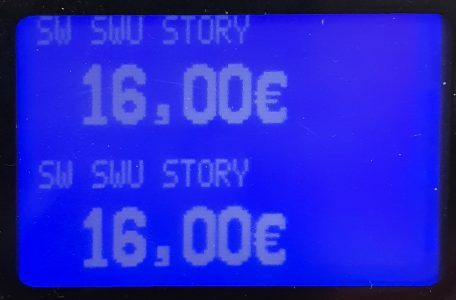 JTA regular Darth Rizzen went to a local toyshop in France and scanned a Star Wars product to see how much it costs. You can see the result pictured below: 16 euros, which is a little more than 18 USD. Now… what product do you think was scanned by Monsieur Rizzen? A discounted vehicle? A discounted Black Series Figure (Finn? Jyn?) Click through for the solution! Tags: Riddle me this Batman! ← Sneak Peek! Jarek Yeager & Bucket (R3-B7): A Must-Have Set For Certain! 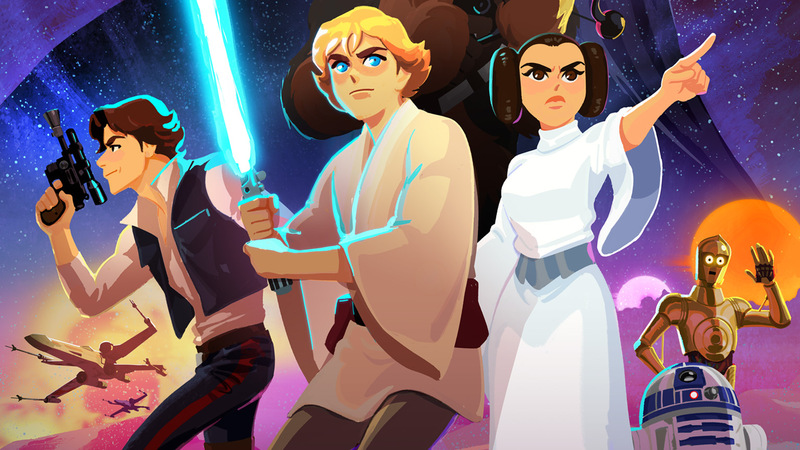 Let’s continue looking at Galaxy Of Adventures wave 2! 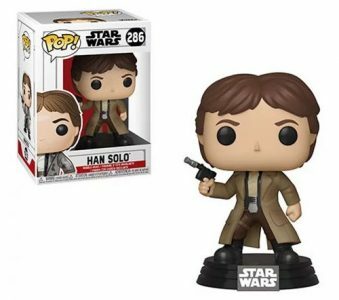 Han Solo (The Scoundrel) is next! He’s the focus on our Research Droids Reviews today! Be sure to leave your thoughts in our comments section, vote in the poll or even comment about it on our Facebook page. Click the banner below for the direct link to the review! As always, you can also send your review requests via email if you’d like to see something that we didn’t cover yet. The Vintage Collection Wave 20: That's A Wrap! Behind the scenes, I calculate various statistics on what happens here on our site, just for curiosity. And I have to say you all impressed me. We had unprecedented first-day unique visits for The Vintage Collection wave 20. It seems all the hobby needs is a strong wave of Original Trilogy characters to get everyone excited again. Anyway, thank you for the astounding traffic, and we hope you keep checking back as we add more figures to this fantastic collection. If you missed checking out our larger-than-usual galleries of Saelt-Marae, Klaatu (Skiff Guard), Princess Leia Organa (Boushh) and Scarif Stormtrooper, please be sure to check them out! 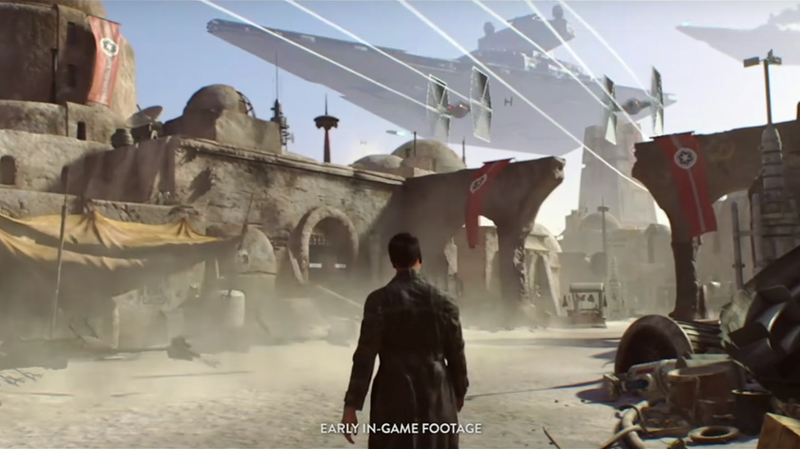 According to Kotaku EA just cancelled its single player open world Star Wars game which was in development at EA Vancouver since late 2017. 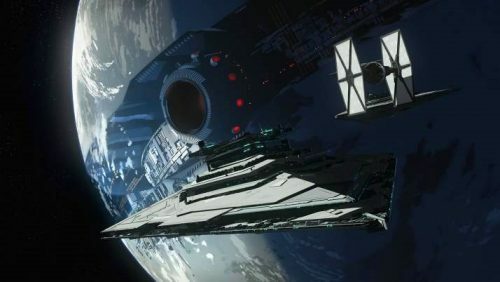 EA had cancelled a previous iteration of a single player Star Wars game before when Visceral Games was closed. This is the second time now a single player (and open world) Star Wars game is nixed by EA. EA went on record previously that they don’t really like open world (single player) games and prefer games as a service (i.e. Battlefront II that encourages you to pay a lot of money on top of what you pay for the initial game). So it seems that Star Wars will have to wait much, much longer before fans can have their Star Wars version of Red Dead Redemption 2, Spider-Man or God of War. Open world single player games that did incredibly well in 2018 and broke several records. Jedi: Fallen Order is still in development though and is supposed to be a single player game. But probably not open world and much more linear. Not much is known about the project. My comment is that I wish Disney would give the Star Wars games license to any other publisher. What do you think about all this? Leave your thoughts in the comments! Welcome to another one our JTA Presents: Evolutions features! Let’s check out how close or far we are from having an ideal Hasbro 3.75″ Lobot action figure. Have we arrived at definitive status yet? Weigh in and let us know what conclusion you’ll come to by clicking through and adding your two cents in the comments! Most of the Galaxy of Adventures wave 2 is available at Walmart.com. Click below for the product pages. Thanks to JTA reader Craig for the alert! Uh-oh… You may want to check your email if you ordered the Mimban Stormtrooper that was available yesterday. Thankfully mine already shipped, but some people aren’t getting so lucky. Thanks to Mike H. for sharing this image with us. “We’ll do better next time.” No, you probably won’t! Get Those TVC Stormtrooper (Mimban) Figures Price Adjusted! If you successfully placed an order for The Vintage Collection Stormtrooper (Mimban) figure BEFORE the price dropped to $12.99, you can call 1-800-925-6278 and provide the Walmart rep with your order number, he or she WILL price adjust the order total and give you a refund. I just did it and it worked beautifully. ← HURRY! TVC Mimban Stormtrooper Is BACK IN STOCK! The Walt Disney Company released its proxy statement for the full year 2018 last Friday, January 11th. And it may surprise no one to learn that Star Wars earned less money for Disney in 2018. I took this opportunity to not only look at the current report, but also at past reports, to see what has been going on. So click through for a more detailed look and some insight into the reasons for decreasing revenue. Straight from the Mouse’s mouth! Our next Visual Guide update from wave 20 of The Vintage Collection is Klaatu (Skiff Guard) (VC135). Click below to check out the complete Visual Guide, and click here to read through our full review. Last week COTY, a manufacturer of luxury perfumes, with Calvin Klein being one of their brands, sued German discounter ALDI. COTY didn’t want ALDI to sell several of their perfumes anymore and a court found that COTY is in the right. The presentation and retail environment at ALDI stores hurt the brand image and thus the court ruled that ALDI has to stop the sale of COTY perfumes. Now, what does that have to do with Star Wars? 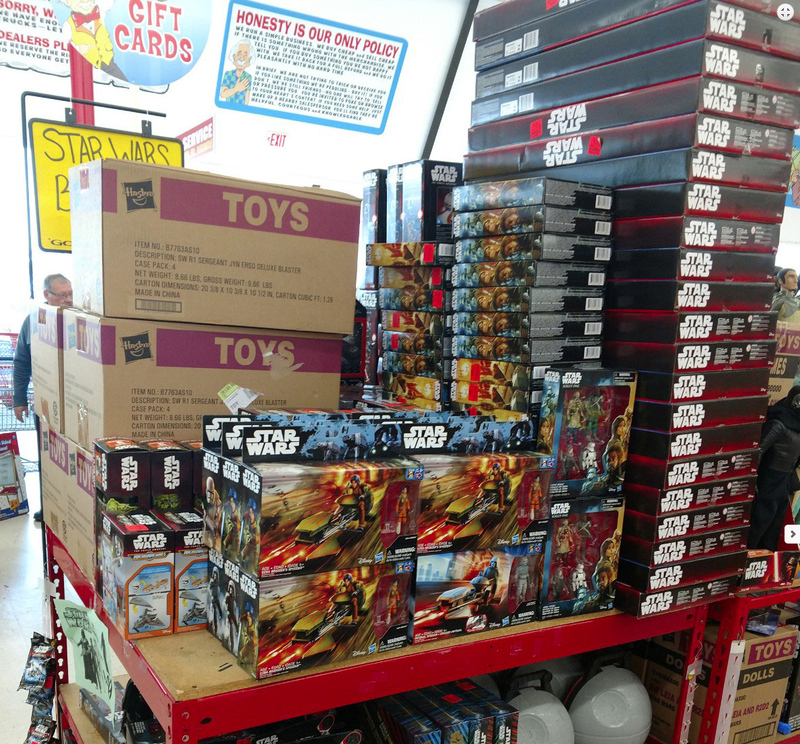 Very simple, whatever is going on with Star Wars toys at the moment, figures for $2.99, figures for $0.03, toys found at Ollie’s or Five Below are nothing that Hasbro would have to accept, unless they are ok with it. 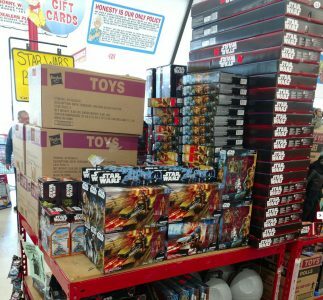 Click through for a very brief primer on distribution and my own thoughts about how Star Wars toys should or could be distributed in the future. It’s another fantastic release! It’s time to look carefully at The Vintage Collection wave 20, the wave that should have begun the line’s relaunch! Let’s now check out Klaatu (Skiff Guard), a long-awaited modern update! (Special thanks to JTA reader and friend Binary_Sun for the composited image!) 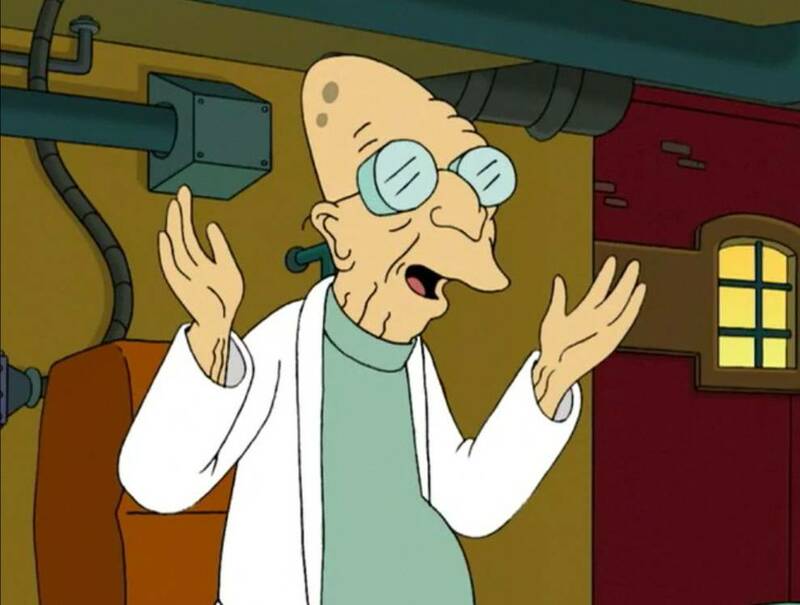 And don’t forget it’s our final year of Research Droids Reviews! Be sure to leave your thoughts in our comments section, vote in the poll or even comment about it on our Facebook page. Click the banner below for the direct link to the review! As always, you can also send your review requests via email if you’d like to see something that we didn’t cover yet. ← Hasbro Ameliorates A Major Issue With TVC's Leia Boushh's Card Back! It’s time to add the next wave of The Vintage Collection to our Visual Guides! First up, we look at the amazing Saelt-Marae figure. Click below to check out the full guide page. Make sure to also stop by and check out our full review, with a huge extended gallery of this figure. Hasbro Ameliorates A Major Issue With TVC's Leia Boushh's Card Back! If you saw our very popular post “What’s The Deal WIth The Vintage Collection’s Packaging?” you know that we addressed multiple concerns we have for the visual aesthetics of The Vintage Collection’s packaging. One of the things we discussed was the Princess Leia Organa (Boushh) figure and how Hasbro didn’t contain the figure within the orange backer area. Well, after receiving our carded samples, we discovered that Hasbro has indeed corrected it. This is one positive step forward to get the line where it needs to be. THANK YOU, Hasbro! Click the image below to see the excellent update! 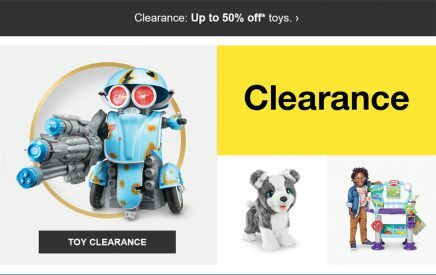 Target.com is having an online promotion right now. Click through to see if there are any deals you can find! There doesn’t seem to be any Star Wars clearance deals, but if there’s anything else you are after it’s worth looking through. ← Jarek Yeager & Bucket Pre-order On Amazon! 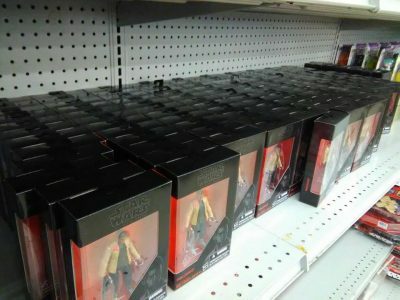 An anonymous JTA reader submitted evidence that his local Walmart has put The Black Series [Phase III] 6″ line on clearance. He paid $4.50 per figure. Proof below. Here we go! It’s time to look carefully at The Vintage Collection wave 20, the wave that should have begun the line’s relaunch! Let’s check out Saelt-Marae, who is also coming as “Yak Face” with a coin in Jabba’s Sail Barge (The Khetanna). And don’t forget it’s our final year of Research Droids Reviews! Be sure to leave your thoughts in our comments section, vote in the poll or even comment about it on our Facebook page. Click the banner below for the direct link to the review! As always, you can also send your review requests via email if you’d like to see something that we didn’t cover yet. UPDATE: I forgot to add an image that JTA reader and friend Binary_Sun put together. He took one of my images of Yak Face and Salacious Crumb and composited with a beautiful background. Check it out! Our next Visual Guide update features the re-released IG-88 from the new The Black Series Archive line. Click below for a full look at this figure, and click here for our detailed review. ← Wow! Entertainment Earth "Rescues" More Retailer Exclusives! Wow! Entertainment Earth "Rescues" More Retailer Exclusives! Holy cow! Look what new Hasbro merchandise Entertainment Earth rescues from certain clearance doom! Order them while you can. 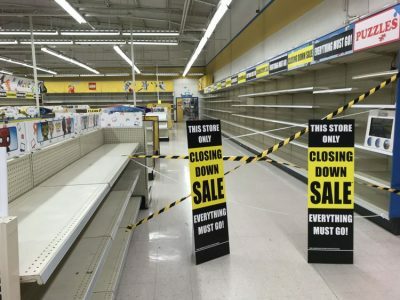 Brick and mortar are dead! I can’t believe the Disney Store exclusives are getting picked up by EE! 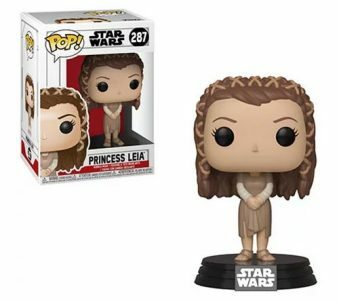 ← TBS6 [P3] Rey Centerpiece - Barely Hit Retail But On Clearance On Amazon! It’s our final year of Research Droids Reviews! A new year means new figures! Let’s finish up the first wave of The Black Series Archive line with IG-88. What’s up with that paint job? Be sure to leave your thoughts in our comments section, vote in the poll or even comment about it on our Facebook page. Click the banner below for the direct link to the review! As always, you can also send your review requests via email if you’d like to see something that we didn’t cover yet. ← Sneak Peek! Check Out The Entire The Vintage Collection Wave 20! TBS6 [P3] Rey Centerpiece - Barely Hit Retail But On Clearance On Amazon! Wow! The Black Series [Phase III] Centerpiece Rey figure, which has barely made a splash at brick and mortar, is on Amazon right now for $17 and change. (This is a $50 item). If you want it, now’s the time! Special thanks to JTA reader Jeff B. for the alert! Sneak Peek! Check Out The Entire The Vintage Collection Wave 20! You saw our sneak peeks at Saelt-Marae and Klaatu (Skiff Guard) figures, but tonight we have the rest of Wave 20 for you to check out! The Scarif Stormtrooper is more different than we first realized. His base armor is a little more yellow, and it appears that the dirt deco is differently placed. Princess Leia Organa (Boushh) is, of course, stellar and the best version we have of her now. Yes, that dang thermal detonator is permanently affixed to her left hand, but you’re just going to have to deal with it because the “photorealistic” technology is terrific. (Remember, these are high-resolution images, and you’re going to see every imperfection. Don’t let it taint your appreciation of her! By the way, this should have been the first wave of the relaunched The Vintage Collection. I think things would be very different right now had that been the case. Don’t forget t leave your thoughts about these figures in the comments! Bossk is our next addition to our The Black Series Archive Visual Guide page. Click below for our full Visual Guide. We also have our full review of this figure right here. 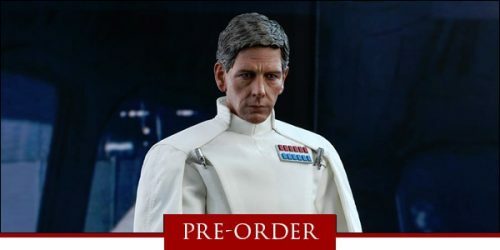 Sideshow Collectibles has opened up the pre-order for the newly announced Director Krennic sixth scale figure. Click here for the pre-order page. ← Hot Toys Announces Director Orson Krennic Figure! Mark Hamill posted a current photo of himself on Instagram. 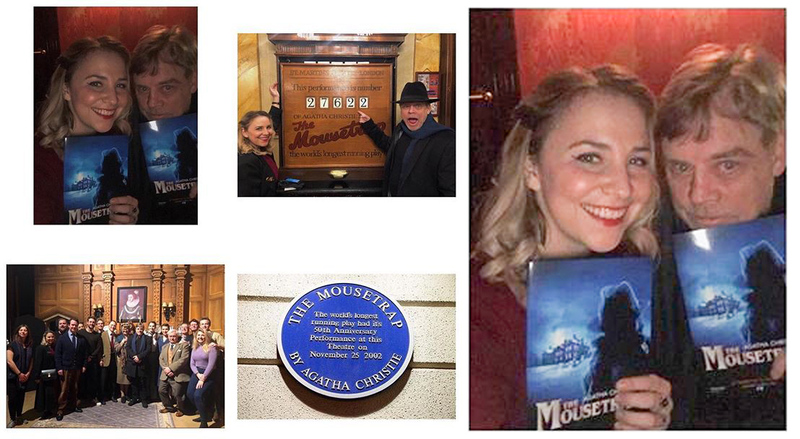 He was finally attending The Mousetrap play in London, which he originally meant to do back in 1976 when he was in London for A New Hope. But what is of note here is Mark Hamill’s look, it’s almost youthful. He is clean shaven and his hair is short with little grey in it. So let the speculation begin… will Mark Hamill be de-aged for Episode IX and a flashback sequence? Do Force ghosts have barbers? Or did he get a new haircut and finally shaved his beard only after filming wrapped? The production in Pinewood has come to an end recently. Hot Toys Announces Director Orson Krennic Figure! Hot Toys has announced their upcoming Orson Krennic 1/6 scale figure! 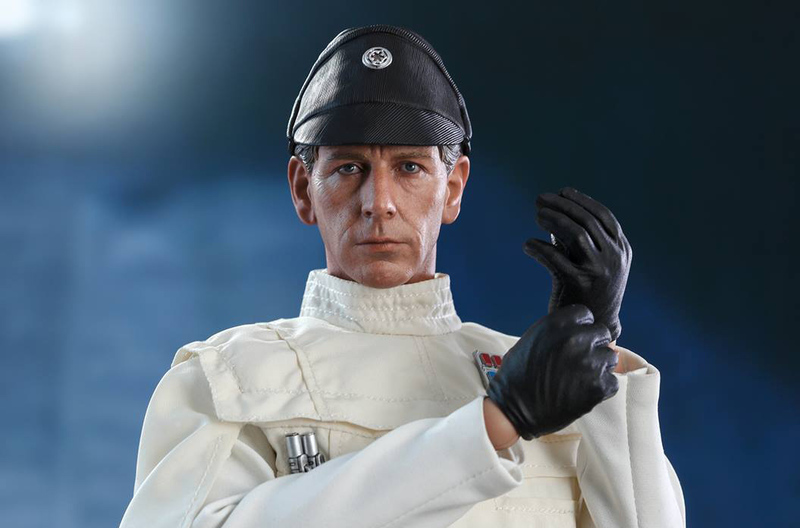 Apart from the usual hands and stand Krennic will come with his blaster, two code cylinders, an Imperial officer’s hat and two sets of rank insignia to replicate his look from early in the movie. Check out a lot more photos on the official Hot Toys website! Expect pre-orders to go up very soon! 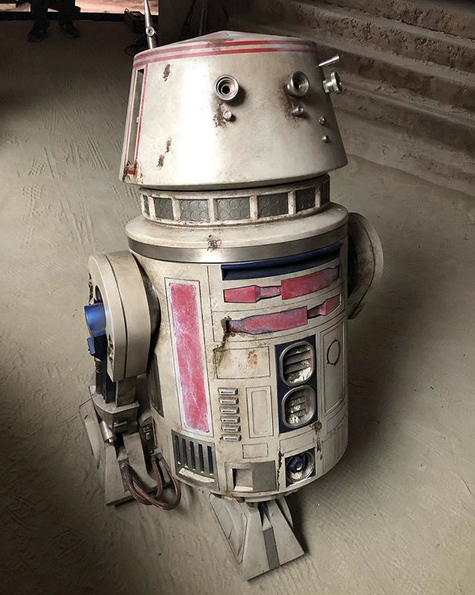 It’s our final year of Research Droids Reviews! A new year means new figures! Let’s continue with The Black Series Archive line and look at Bossk. He seems alright but has some issues. Be sure to leave your thoughts in our comments section, vote in the poll or even comment about it on our Facebook page. Click the banner below for the direct link to the review! As always, you can also send your review requests via email if you’d like to see something that we didn’t cover yet. Welcome to another one of our JTA Presents: Evolutions features! Let’s check out how close or far we are from having an ideal Hasbro 3.75″ Tessek action figure. Have we arrived at definitive status yet? Weigh in and let us know what conclusion you’ll come to by clicking through and adding your two cents in the comments! 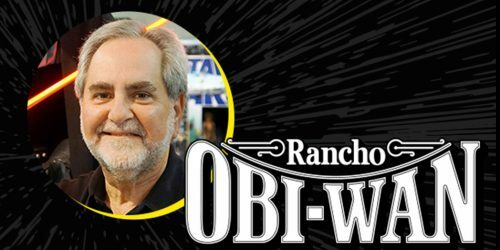 ← Rumor: Vickie Stratford Returns to the Star Wars Design Team!? Ready For A Crazy Episode IX Rumor? 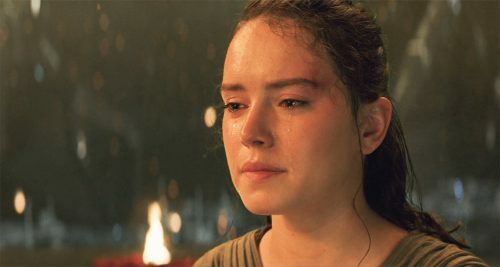 The Episode IX rumor mill is spinning once more… there is a potentially huge rumor for Episode IX that, if true, could either be considered the best thing ever or maybe yet another desperate attempt to undo some of the perceived damage of the previous sequel movies. If you want to know more, just click through! If not… just don’t click! It’s really that simple! Update: Now with bar chart! ← 2015's TBS [P2] Jabba's Rancor Pit For Original MSRP + FREE Shipping! Rumor: Vickie Stratford Returns to the Star Wars Design Team!? Who’s that? Vickie Stratford was the Design Director for Star Wars from 2009-2011 (um, the golden years!). If you have any reserve about that time period for Star Wars action figures, just take a look at the Shadow of the Dark Side lines, and the early Vintage Collection Series. With TVC in full force and The Clone Wars returning for it’s final season, she would be a magnificent fit to run the brand today. She worked alongside Derryl DePriest and the two appeared together at the celebrated 2010 Toy Fair. From what we’ve seen, we’ve logically concluded that she might be returning to the Star Wars team to replace Steve Evans as the new Director Of Product Design “for one of the most wonderful brands in the galaxy!” Let us know what you think in the comments! 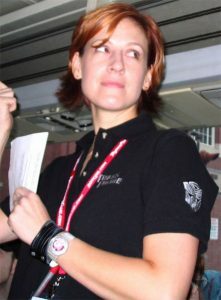 Ms. Stratford when she appeared at a 2007 BotCon during her tenure over the Transformers Brand. Picture from tfwiki. ← How Much Space Will You Need For Jabba's Sail Barge? TBS6 [P3] General Grievous Up For Pre-order! Pre-order The Black Series [Phase III] 6″ General Grievous at Entertainment Earth RIGHT NOW! How Much Space Will You Need For Jabba's Sail Barge? Collectors in the We Backed The Barge Facebook Group were treated with a post by Hasbro’s Steve Evans. He provided a rough sketch of how much space you’ll need to display your Jabba’s Sail Barge. Special thanks to JTA reader Jamie D. for the alert! 2019's HASCON Has Been Postponed! Wow. Here’s a shocker. 2019’s HASCON has been postponed. Special thanks to our friends at Bantha Skull for the alert to this surprising news! ← Tantive IV Hallway Diorama For The Black Series Available For Pre-Order! JTA reader and friend Steve U. forwards us images we haven’t seen yet online yet (but maybe you have). General Grievous is looking good! ← Found! Galaxy Of Adventures Wave 2 Hits Walmart! 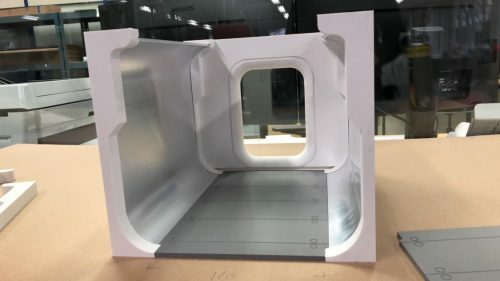 Tantive IV Hallway Diorama For The Black Series Available For Pre-Order! Jazzinc Dioramas has posted a first teaser image of a prototype 6 in scale Tantive IV hallway diorama earlier today. Downpayment is $50, Jazzinc Dioramas is aiming for a $150 price tag for the finished piece. If you want to pre-order your Tantive IV hallway for the Black Series (or SHF, of course) just head over to the Jazzinc Dioramas homepage, click on contact and you will find the mail address. Just write a short mail that you want to pre-order the set and you will receive an invoice for the downpayment. Jazzinc has produced a 1/6 scale version of the set, which you can also check out to see what the finished 1/12 scale version will probably look like. Thanks to JTA regular Matthew Cohen for the alert! ← 3.75" Articulation: When is it Too Much? Found! Galaxy Of Adventures Wave 2 Hits Walmart! JTA reader and friend “Logan” found the Galaxy Of Adventures wave 2 at his local Walmart. Admittedly, these figures look pretty neat in the colorful packaging. Too bad they’re all repacked figures. Well, the Stormtrooper isn’t. It looks like the Solo Stormtrooper (Mimban) figure painted all white with the Rogue One helmet. ← What's The Deal With The Vintage Collection's Packaging? 3.75" Articulation: When is it Too Much? This topic seems to come up fairly frequently in a Facebook Group that I’m in, and has been the topic of recent conversation on some other collecting sites too, so I wanted to share my thoughts about articulation. These thoughts come from the last conversation I had on Facebook about it about a week ago. What's The Deal With The Vintage Collection's Packaging? Either the filming of Episode IX is finished or at least it has finished filming at Pinewood, either way, a British modelmaker posted a few pics of the crew gifts she received as a thank you on Instagram. 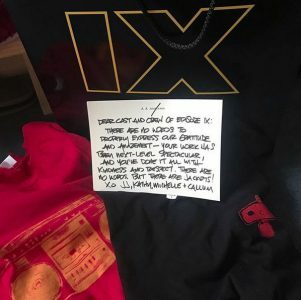 It appears you’ll get a thank you note, a “IX” branded bag, a t-shirt with a Bad Robot logo (plus some other shirt with a boombox print), and a crewjacket with a “IX” logo. Click through for a few more details! Sneak Peek! TVC Klaatu (Skiff Guard) (VC135) It's Another Gem! Klaatu (Skiff Guard) is another phenomenal release from Hasbro. You’re going to love him just as much as Saelt-Marae. Hasbro went above and beyond working in an incredible and inordinate amount of detail in such a tiny area. He’s loaded with articulation and comes with a perfectly replicated accessory. Yes, the helmet isn’t removable, but this shouldn’t be a deal breaker for you. You’ll never have to worry about it falling off of his head. The review is coming very shortly, but the Photo Gallery and the Collector Notes are ready to browse. Special thanks to JTA reader and friend Binary_Sun for the composited image in the gallery. Enjoy! We’re getting more store reports of The Black Series Archive first wave arriving at Walmart. JTA reader Jay V. sends us the latest report from South Carolina. You can check out our full galleries on these figures by clicking HERE. ← New Star Wars [Resistance] Two-Packs Found At TARGET! Guess what? I watched The Force Awakens for the first time since it was in theaters over three years ago tonight. Those that read with any regularity know how I feel about the film. 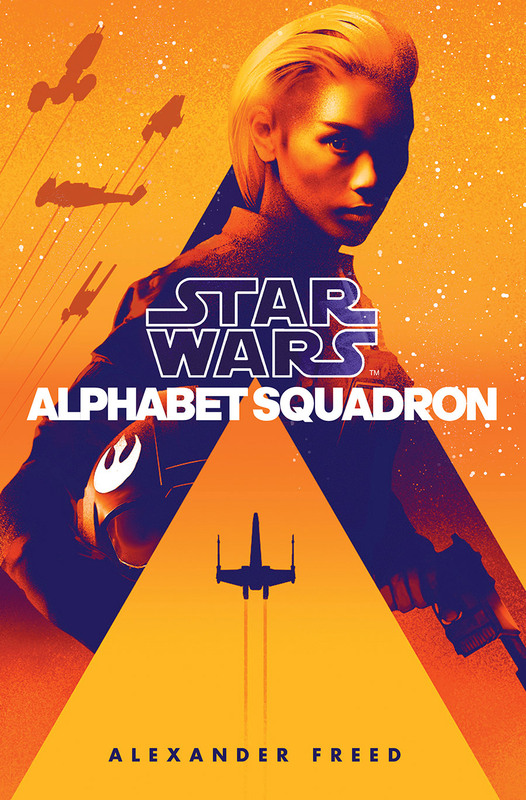 But if you don’t, in short, I think it’s the worst Star Wars film of the bunch (yes, I think it’s worse than The Last Jedi by a landslide). 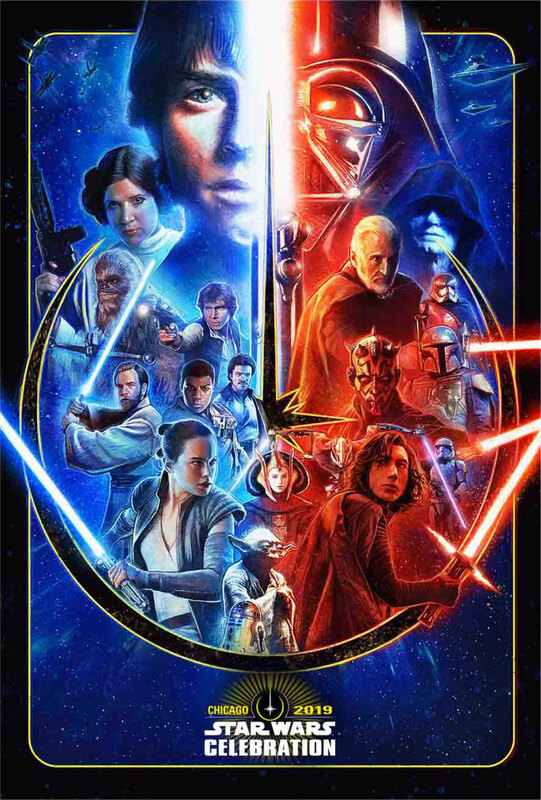 And I would go so far to say that it’s one of the worst films “period” I’ve ever seen too (for its deception of not being much more than an Episode IV reboot). That’s not hyperbole. I feel it took Star Wars down a path that a large chunk of the community couldn’t follow. Anyway, this isn’t another chance to jibe the film. I have rethought a couple of things, and I felt it is worth sharing. Click through for more. SAELT-MARAE (VC132): EARLY REVIEW! 70+ IMAGES! COMPARISON SHOTS! Saelt-Marae is the MOST-PERFECT action figure Hasbro has produced in a VERY LONG time. I am so blown away by this figure that I went above and beyond for you tonight. Firstly, the review is DONE. See why you’ll need MULTIPLES of this figure for your collection. Secondly, I was curious to see how Saelt-Marae compared to the many other Jabba’s Palace aliens Kenner and Hasbro produced throughout the years. 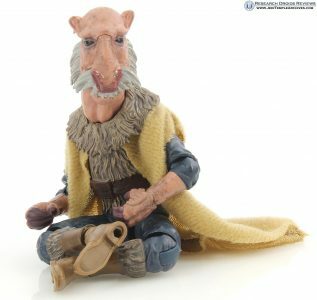 So there are almost 50 ADDITIONAL images comparing Saelt-Marae (Yak Face) to other figures from Jabba’s Palace or the Battle of Carkoon. Please leave your thoughts in the comments in the review. I want to know what you think of this stunning figure! ENJOY! The New TVC Klaatu (Skiff Guard) In Action! Beautiful Shot! JTA reader Jonathan Y. sends us a jaw-dropping image of the new The Vintage Collection Klaatu (Skiff Guard) figure in a background from Return Of The Jedi. Enjoy! Previously SOLD OUT Disney Droid Factory Sandcrawler BACK IN STOCK! HURRY! The Disney Droid Factory Sandcrawler is BACK IN STOCK! Special thanks to friend Steve U. for the alert! If you don’t know about this fabulous vehicle yet, please see our exclusive RDR on it RIGHT HERE! Quick Pics! Yak Face, Klaatu (Skiff Guard), Leia Boushh! Looking Good! 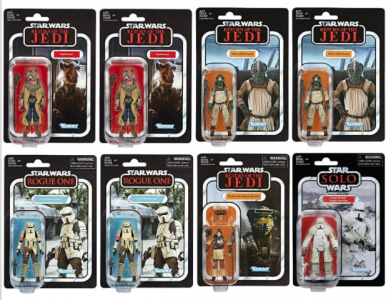 Longtime JTA reader coreworld sends us some quick images of the figures from The Vintage Collection Yak Face wave. The new Princess Leia Organa (Boushh Disguise) looks really fantastic. But I don’t know how I feel about Klaatu (Skiff Guard) yet. Yak Face, of course, looks phenomenal. I can’t wait to get mine! Click through for coreworld’s report! Disney Acquisition Of Fox Finalized? Entertainment Earth is reporting that the Disney/Fox merger is likely finalized. Click through to read their report! HURRY! 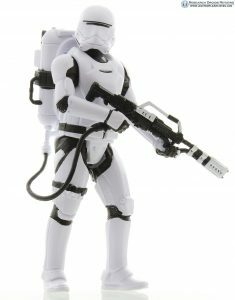 TVC Mimban Stormtrooper BACK IN STOCK! The New York Post has run an article about the most returned Christmas gifts this past holiday season. 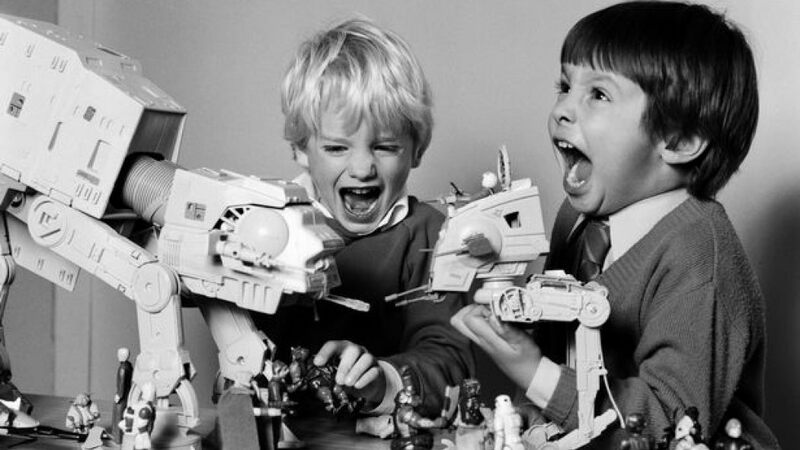 You might be surprised that Star Wars toys have made the list. Special thanks to JTA reader John J. C. for the alert! Welcome to another one of our JTA Presents: Evolutions features! Let’s check out how close or far we are from having an ideal Hasbro 3.75″ Wedge Antilles (X-wing Pilot) action figure. Have we arrived at definitive status yet? Weigh in and let us know what conclusion you’ll come to by clicking through and adding your two cents in the comments! Sideshow Collectibles is celebrating the new year with a $25 off coupon. 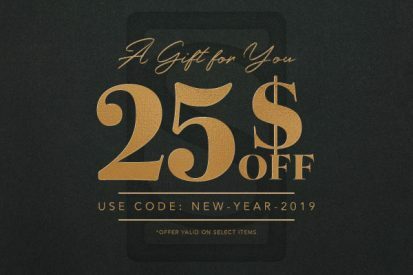 Use code NEW-YEAR-2019 on select items. Entertainment Earth has TVC wave 4 listed for pre-order, due to ship in March. Click here for the pre-order page. Jedi Temple Archives wishes everyone who reads here a very Happy New Year! 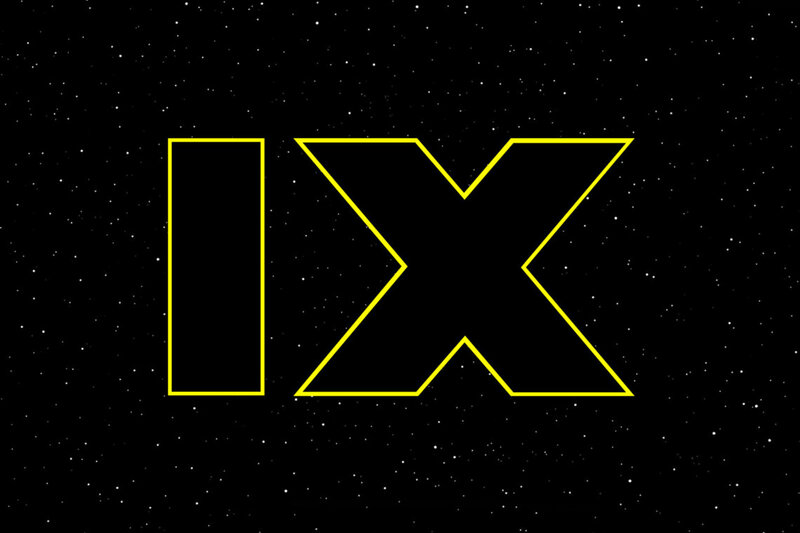 The big news for Star Wars is the release of Episode IX in December. It will be interesting to see how well it performs! Have a safe and wonderful day today!